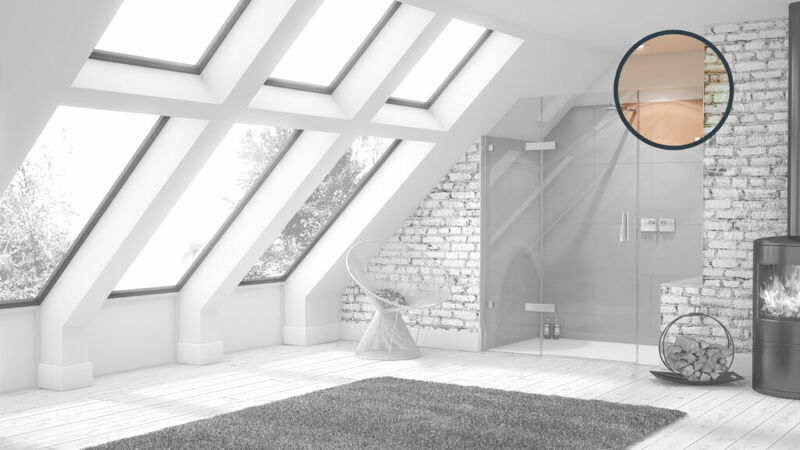 With Matki Bespoke, increased height doors and panels can be made to reach the ceiling or to create higher, more impressive bespoke versions of standard EauZone Plus Shower Enclosures, Wet Room Panels and Bath Screens. Additional hinges and brackets may be required dependent on setup and height desired. 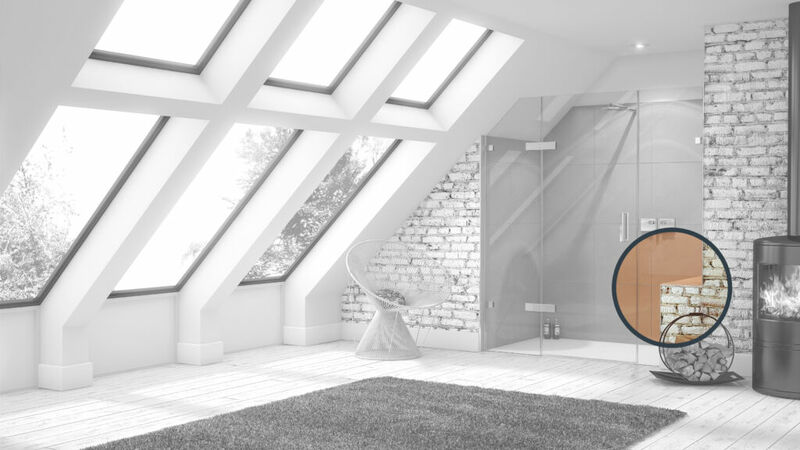 Bespoke glass with cut-outs to suit dwarf walls is available with a number of framed options as shown below or for a more minimalist look is achievable with minimal frames, recessed channels and sometimes with no frames at all. MATERIALS: 10mm Safety Glass with Aluminium Frames joined with an off-set Brass frame connector. DESCRIPTION: The off-set Brass frame connector is used to form the joint between frame sections of the Side Panel and Inline Panel on EPIC or EPWC models. This allows for a dwarf wall to come out in line with the front of the enclosure. DIMENSION: Frame width 20mm. Frame height 22mm. Brass frame connector length 44mm as pictured or 75mm to allow for a narrow shelf on the top of the dwarf wall. DESCRIPTION: Smoothly finished Brass frame connector for a distinct and precise 90° joint between Aluminium frame sections. DIMENSION: Frame width 20mm, Frame height 22mm. 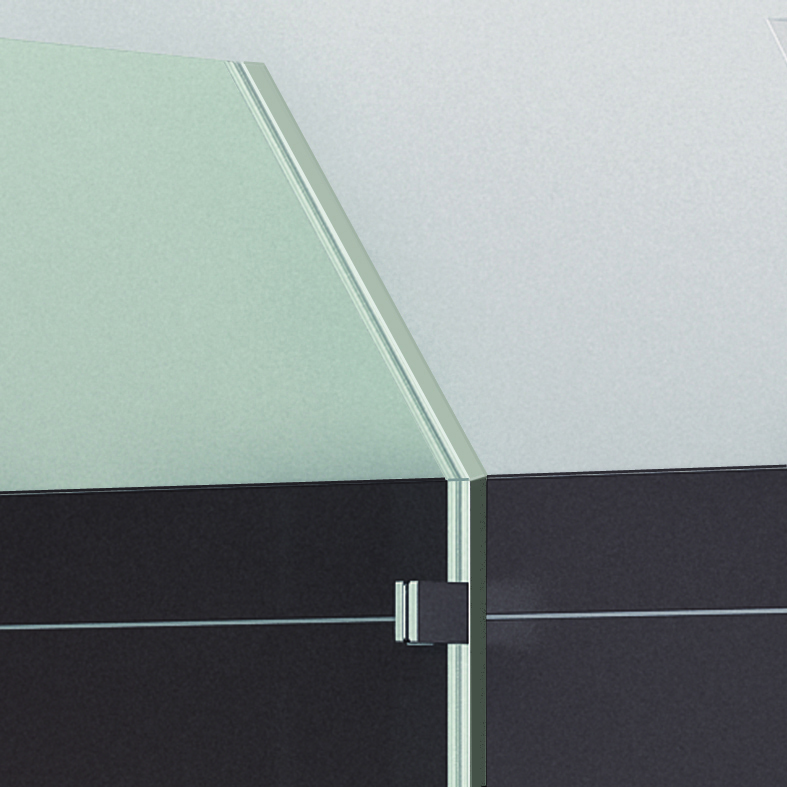 Minimal width of vertical ‘leg’ of glass is 150mm. 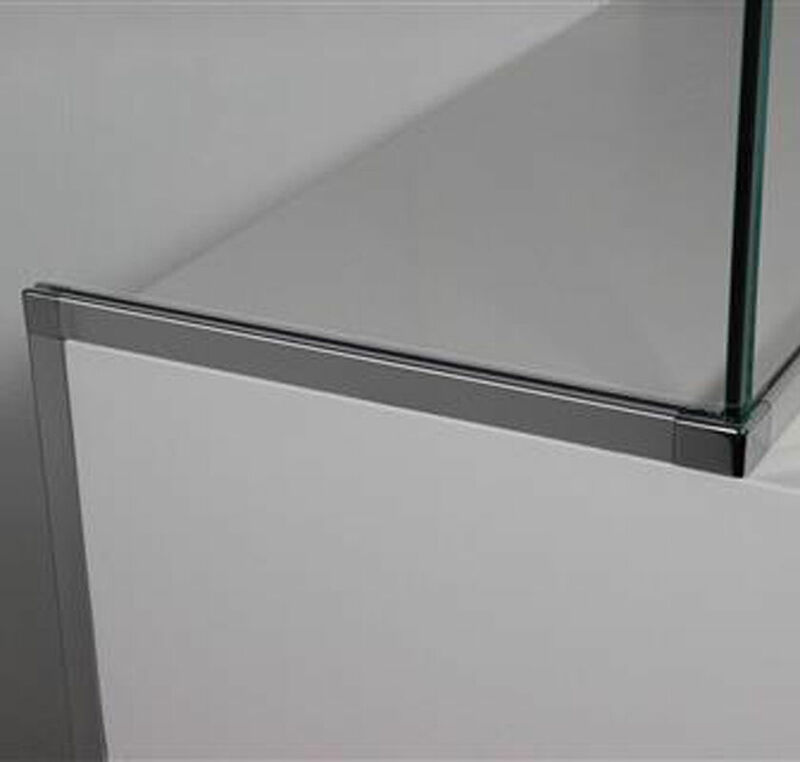 DESCRIPTION: 10mm solid Safety Glass with 22mm Aluminium frames joined by vertical and horizontal Brass frame connector. 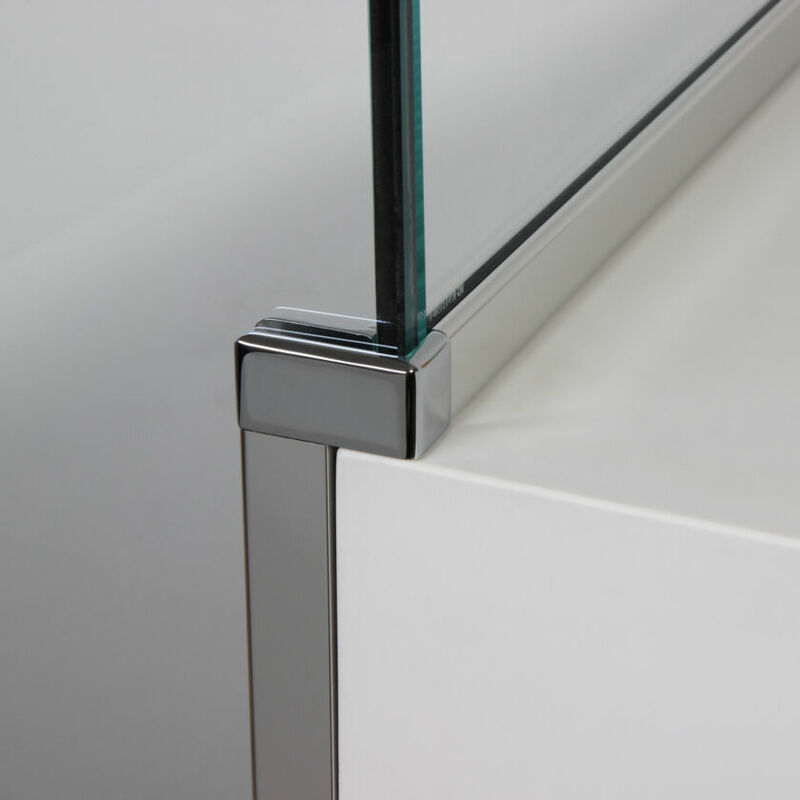 MATERIALS: 10mm solid Safety Glass with 22mm Aluminium frame. DESCRIPTION: A mitred corner is cut into the frames to form a neat joint between horizontal and vertical frames around a dwarf wall. 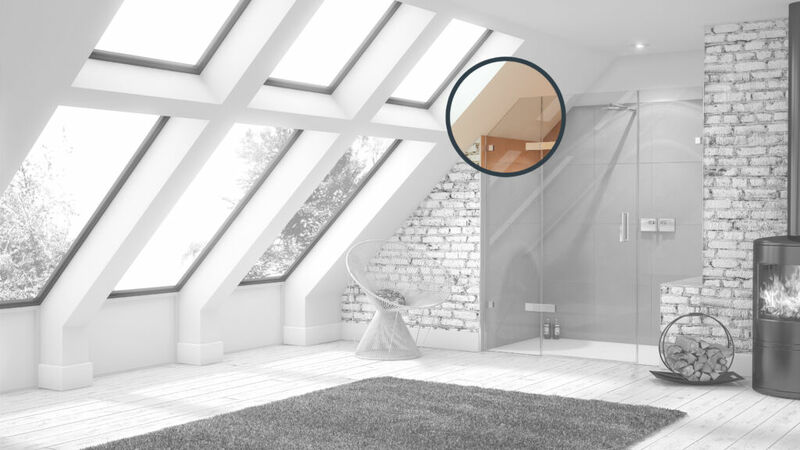 Precise angled glass is made to measure for sloping ceilings and angled walls. 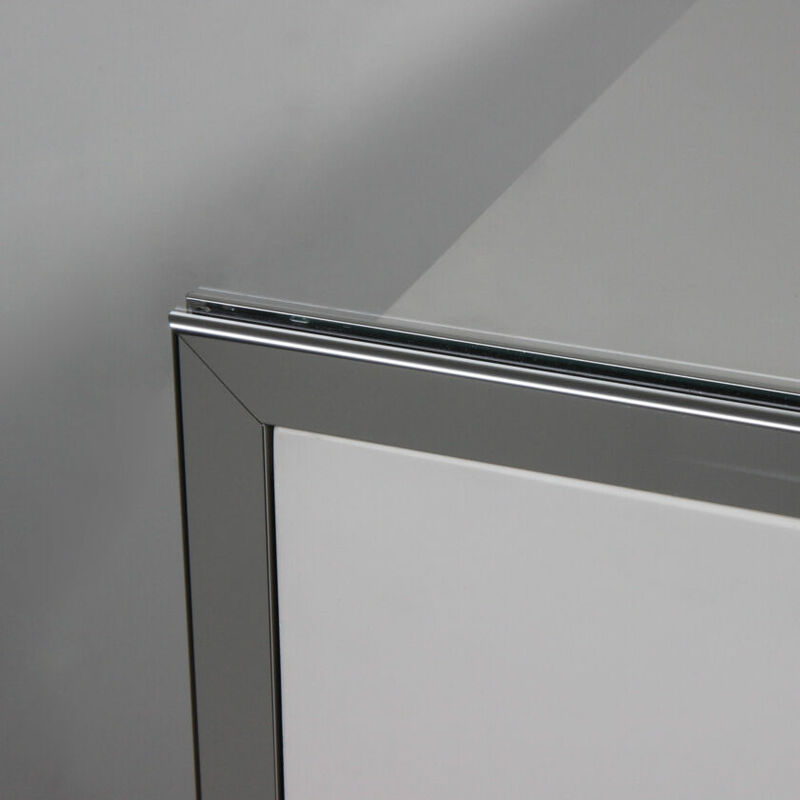 A choice of framed and frameless solutions is available for the angled sections. 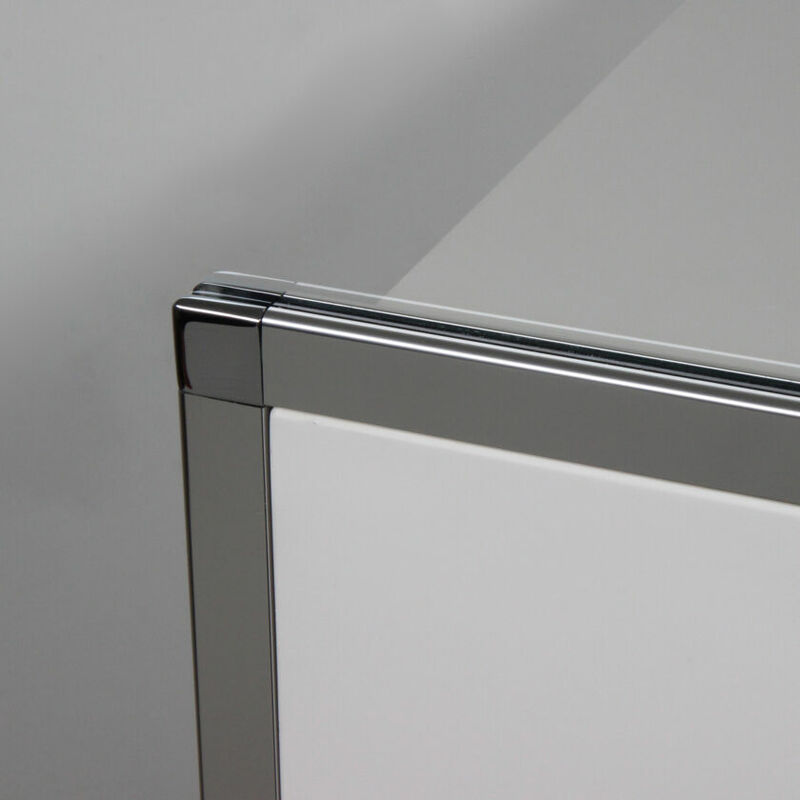 DIMENSIONS: Available with 28mm wide frame, 11mm wide frame and recessed channels for angled cut. 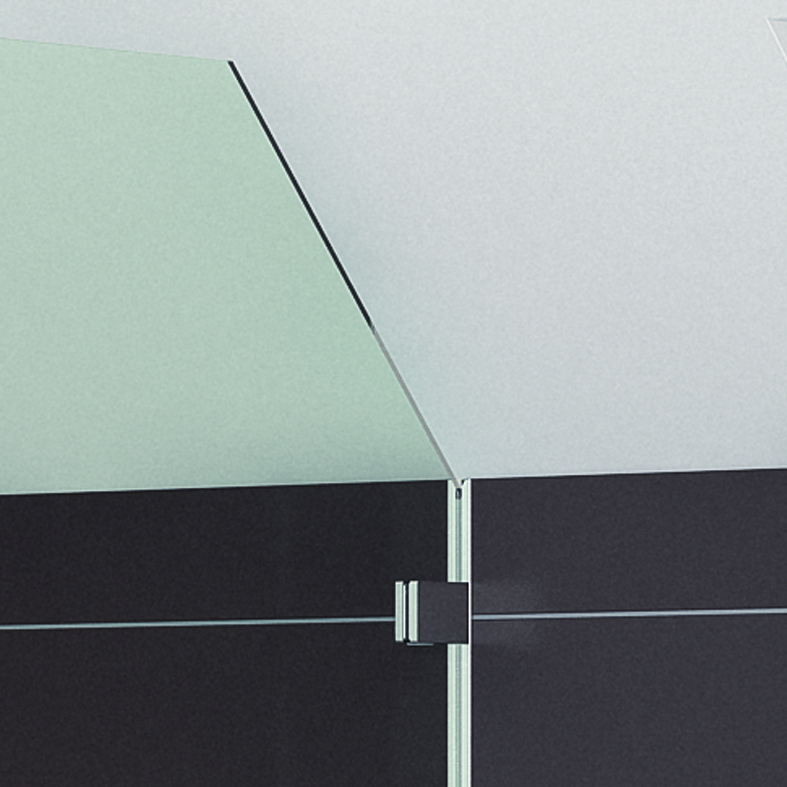 DIMENSIONS: Gap of approximately 10mm between glass edge and wall.